Maple version of our flag ship Trojka KYU kendama. Kendama is made in China and it comes with spare string, bead and stringing tool. If you want choose from specific kens or tamas go to Frankendama. I got it from Mirek at Polish Damavibes event. 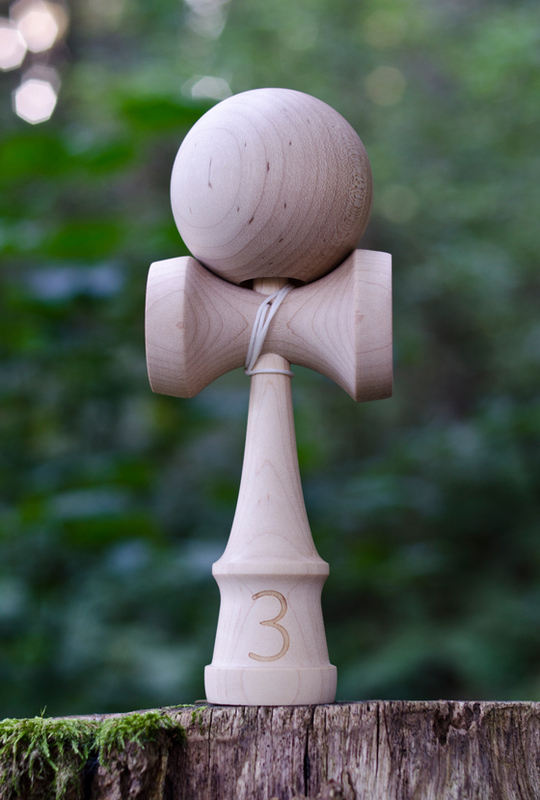 It really is a premium kendama. Its really well balanced. Wood grain is very pretty and the wood is veeery durable, so it takes a lot of time to break in. Its a natty so it is kind of slippery, but its a great way to practise.